Cancer is now the leading killer of Hispanics in the U.S. - the latest sign it's beginning to displace heart disease as the nation's top cause of death. The rest of the country may not be far behind, "probably in the next 10 years," said Rebecca Siegel of the American Cancer Society. She is the lead author of a study reporting the new findings. That may be a conservative estimate. Government health statisticians think cancer could overtake heart disease as the top U.S. killer as early as this year, or at least in the next two or three. The change is not exactly cause for alarm. Both cancer and heart disease death rates have been dropping for Hispanics and everyone else. It's just that heart disease deaths have fallen faster. For decades, heart disease has been the nation's leading cause of death. But cancer has been closing in on it. That's largely because of better heart disease treatments, including statin drugs that lower cholesterol. The reason cancer is already the biggest cause of death for Hispanics is likely because that population as a whole in the U.S. is younger than non-Hispanic whites and blacks. Many Hispanics are young immigrants, most of them from Mexico. 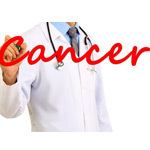 Cancer tends to kill people at younger ages than heart disease. The report is being published in the September/October issue of a cancer society publication, CA: A Cancer Journal for Clinicians. Cancer society researchers looked at federal death data for 2009 and found 29,935 U.S. Hispanics died of cancer, slightly more than the 29,611 who died of heart disease. It was the first year in which cancer deaths surpassed heart disease in that ethnic group. Hispanics are the largest and fastest growing major ethnic group, and include a large number of recent immigrants healthy enough to start a new life in another country. Most heart disease deaths occur in people 65 and older. The vast majority of Hispanics in the United States are under age 55, so cancer poses a more immediate risk. The story is different in Mexico, which has an older population. There, diabetes is the biggest killer with cancer No. 2, according to 2009 statistics from the Pan American Health Organization. Cancer is also the leading cause of death for Asian-Americans and Pacific Islanders. And it is now the leading killer in 18 states, according to 2009 numbers from the Centers for Disease Control and Prevention. Interestingly, none of those states is in the Southwest, where Hispanic populations are more established. Instead, most are in the nation's northern tier, including Alaska, Washington, Idaho, Montana, Minnesota, Wisconsin and the four states of upper New England. Aside from statisticians, will it matter to people which disease is taking the most lives each year? It might, said Robert Anderson who oversees the CDC branch that monitors national death statistics. "We've been so focused on heart disease mortality for so long... This may change the way people look at their risk," he said.